You have been in the bed since last few hours and you still can't fall asleep. It's called insomnia. We have already mentioned about it on our earlier article . You can check it out here. As insomnia is a growing trend in the market , the pharmaceutical companies have flooded the market with a lot of medicines . Some say that one is good , others say another is good. Well, with a lot of available medicines and its side effects ,its very easy to get confused.But no more, here we present herbal home remedies of the insomnia. We all know or have heard about the herbal treatment . It has very less or no side effect at all and the best thing about it is , it directly comes from nature no extra chemistry . Here are some of the herbs that can be used to treat insomnia or sleeplessness . They can be taken during the day time or half an hour before bed time. Lavender (Lavendula) - With lot of uses , this blue flowering plant has been a very effective treatment for insomnia since ages. Apart from its aroma, it has been proven very effective for treatment of various nervous disorders. 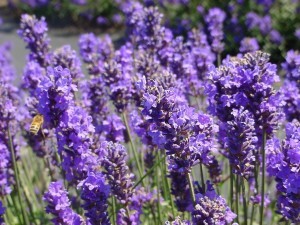 In Germany, it is approved to use lavender oil as anxiolytic under the name Lasea. Chamomile(Anthemis Nobilis) - This one is a very beautiful flowering plant and it has a lot of beautiful uses from cosmetics to pharmacy. chamomile tea can be used as anti-insomnia treatment . chamomile tea is used widely in Europe and other parts of the world as a treatment of insomnia. Valerian - With beautiful aromatic pink and white flowers, this herb flower's extract were widely used in perfume industries during 16 century. With its sedative effect , this herb has proven beneficial for treating insomnia. Wild lettuce(Lactuca Virosa ) - They have calming and sedative effect. They are very helpful for treating insomnia and are widely used for treatment . California poppy (Eschscholzia Californica)-It was widely used medicinally by the native Americans. The extract of this plant has sedative and Anxiolytic properties. But don't worry its effect is far more milder than opium and it has different alkaloids than the opium. Kava (Piper Methyscticum) - Well the name comes from Fiji and its the national drink in the Fiji .It has sedative and calming effect. Hops (Humulus Lupulus) - Used in beers as flavoring and stability agent , they have a lot of medical uses too.It is used for treatment of anxiety, restlessness and insomnia. St. john's wort (Hypericum Perforatum) - It is a flowering plant and widely used as treatment for depression.Because it sensitizes skin to the sunlight , it is very necessary not to overdose .